Norway’s Culture Minister, Thorhild Widvey, may have to answer to a parliamentary committee over accusations of interfering with freedom of speech. 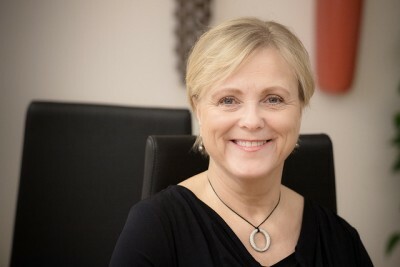 On Friday the Conservative Party (Høyre) Minister admitted she regrets having personally called the Chairman of the Museums in Sør-Trøndelag (MIST), after the Trondheim Museum of Art’s outgoing director described the Progress Party (Fremskrittspartiet, FrP) as a nationalistic and dangerous political group. The controversy started when director Pontus Kyander, who is leaving the position at the Art Museum (Trondheim Kunstmuseum), wrote in the spring program that “Nationalist parties – like the Progress Party – are dangerous; they belittle concepts like human common sense, human rights and equality.” The program’s theme is on the bicentenary of Norway’s constitution, nations and nationalism, wrote newspapers Aftenposten and Adresseavisen. Sandberg denied a comment by the Culture Department that Widvey had made the call because the FrP wanted more information on the case. He said their communications manager had contacted the Department for information about the museum’s ownership structure, not to prompt the Minister to call anyone. “When I see how this case has developed, and I’ve been accused of trying to limit freedom of expression, I see that I maybe shouldn’t have made the call,” she told Dagsavisen. The SV representative in the Scrutiny and Constitutional Affairs Committee, Karin Andersen, said she’ll bring the case before the committee for further investigation. Committee chair Martin Kolberg from the Labour Party (Arbeiderpartiet, Ap) agreed. “A minister should not under any circumstances engage in this way, creating fear,” Kolberg said. “It goes against the Constitution’s rulings on freedom of speech.” The Greens (Miljøpartiet de Grønne) also supported the calls. The Conservative and Centre parties don’t see any reason for the case to go before the committee. The Liberals’ (Venstre) Abid Raja said he’d look further into the case before commenting, but said as a general rule every “clumsy and foolish” action by a minister is not an issue for the committee.